From doing our many talks throughout the state to a variety of audiences we have decided that we need to dispel some myths people have about bees. These are the most common misconceptions that we have heard and we hope to bring to light the real truths. 1. Bees live in hives. Only 10% of the world’s 20,000 bee species are social, and only a small percentage of these construct hives. In North America, only the introduced European honey bee and bumble bees build hives and live in colonies. 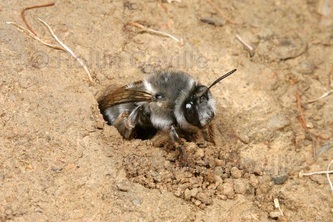 Most bees, approximately 75%, are solitary and live in individual nests tunneled into the soil. Bumble bees make a small amount of honey. Their colonies are annual, unlike the perennial honey bee colonies that persist year after year, so they have no need to store surplus honey to survive the winter. Only honey bees make enough honey to harvest, and native bees make no honey at all. 3. Honey is made from pollen. Honey is regurgitated nectar collected by worker honey bees. 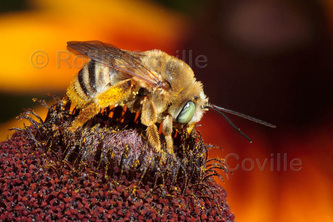 The nectar, which is 60-80% water, is mixed with enzymes inside the worker bee’s abdomen. Back at the hive, it is regurgitated and fanned with the workers’ wings until it becomes thick, syrupy honey. It is stored in comb cells sealed with wax cappings for use during the long winter months. 4. Bees die after they sting. Only honey bees die after stinging. Native solitary bees do not die after stinging, however, without a colony to defend, they are much less likely to utilize this defense mechanism. Although they come from the same order of insects, wasps are not bees! 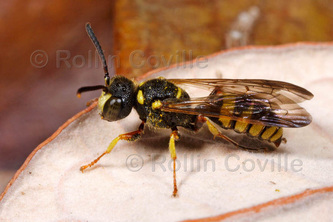 Bees are vegetarians, intent on collecting pollen and nectar for their broods, while wasps are carnivorous. The yellow jacket, notorious for raiding picnics, is a wasp that has acquired the misleading name of “meat bee,” which adds to the confusion. 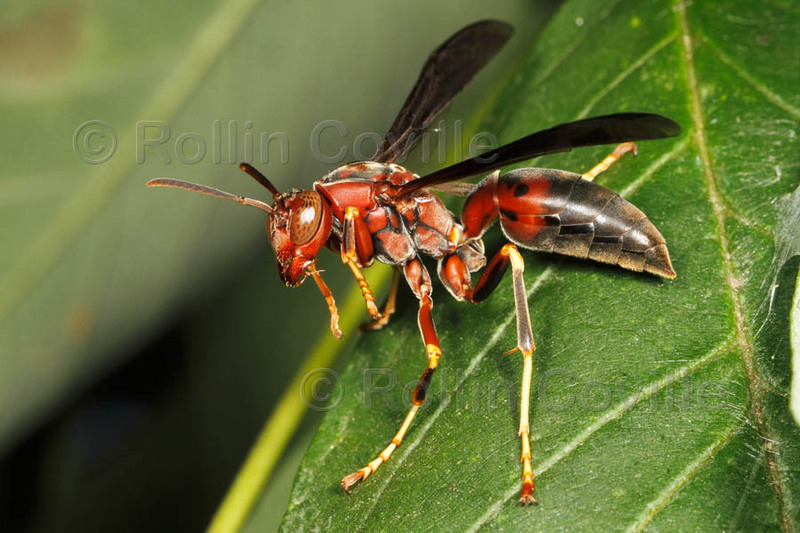 Some species of wasps can be very aggressive, especially if you stumble upon their nests, but many species perform valuable services by controlling insects that feed on plants. 6. Small bees are baby bees that eventually grow into large bees. Bees belong to the order Hymenoptera, which undergo complete metamorphosis—a full reorganization of tissues between each life stage. Inside the nest, eggs develop into larvae, pupae and finally into adults that emerge fully developed. 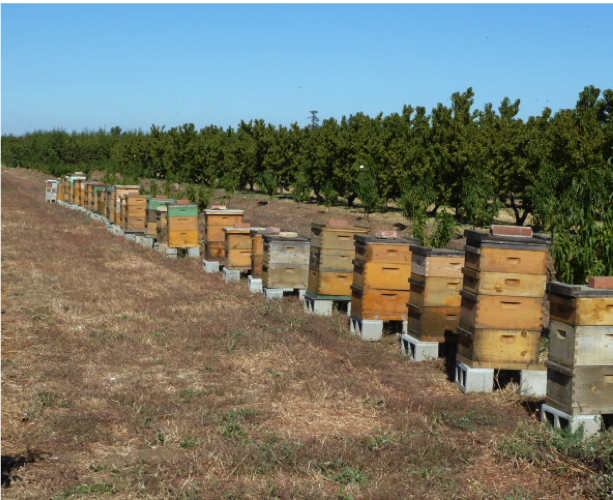 The wide range of shapes and sizes is due to the vast diversity—over 1,600 species in California alone—of bees. 7. Bees are declining because of Colony Collapse Disorder. Colony Collapse Disorder (CCD) only affects honey bees in managed hives. The cause of this disease is still unknown, and there may be a number of contributing of factors, including pesticides, stress, and malnutrition. 8. There are 12 species of bees in California. California contains among the most diverse bee populations in the country, with 1,600 identified species (the entire U.S. contains approximately 4,000 species). Only a handful of these are non-native, including the honey bee. About 300 species have been found visiting urban gardens (see Chapter 5 for more detail). 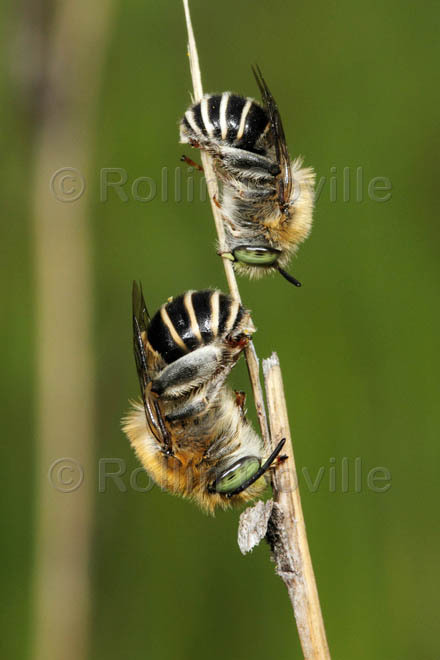 A pair of male Anthophora californica sleeping. 9. Bees go to their hives to sleep at night. Honey bees and most bumble bees do return to their hives at the end of the day. Males of solitary species can be found sleeping on plant stems, under leaves, and in flowers. Females may return to their nests to spend the night constructing new tunnels and brood chambers. 10. Bees do the waggle dance. Honey bees are famous for their “waggle dance,” a figure-eight shimmy they perform in midair to share information about nearby resources (flowers, water, or new hive locations) with other bees of their hive. Native bees are mostly solitary, and would prefer to keep the good spots to themselves. 11. Bees are too small to fly long distances to gather pollen and nectar. In the name of efficiency, bees would prefer to travel no more than 50-500m between flowers and nest sites. Some studies demonstrate, however, that bees have the capacity to fly much longer distances in order to locate preferred pollen and nectar resources. 12. Adult bees live a long time. 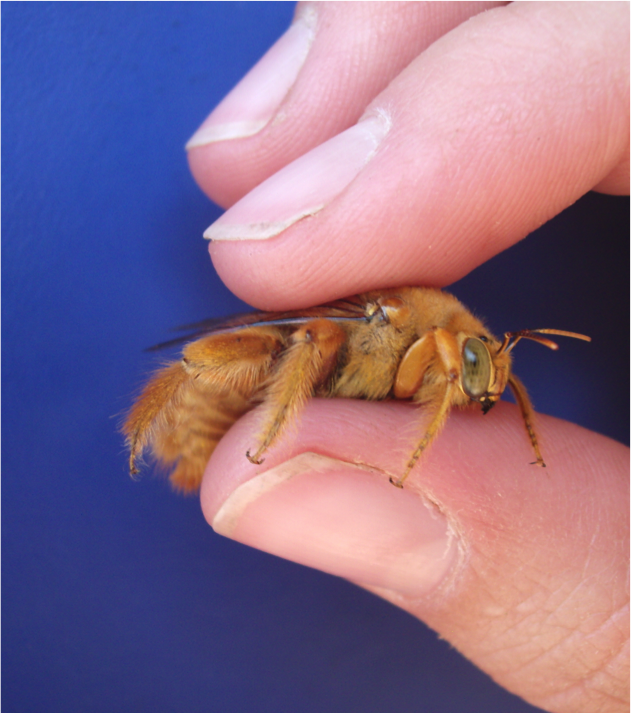 Most native solitary bee species have only a few short weeks of life to mate, construct and provision nests, and give rise to the next generation. Honey and bumble bee workers and males live about six weeks, spending about three weeks working on the hive, and the remaining three foraging for pollen and nectar. 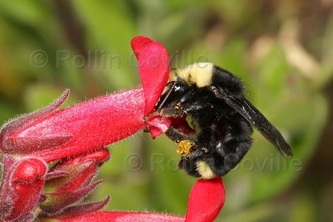 Bumble bee queens live a full year, and carpenter bees can live up to two years in ideal conditions. 13. Male bees die upon mating. The genitalia of honey bee drones pop out explosively at mating with a sound one can hear, paralyzing and killing them. Males of other species can and do mate more than once. 14. Male bees don't pollinate flowers. Males are not as efficient as most females when visiting flowers, as they are equipped only to retrieve nectar (flight fuel) and not for actively collecting pollen. However, they often inadvertently pollinate some kinds of flowers quite effectively. 15. Honey bees displace native bees on flowers. It is often rumored that native bees are declining because honey bees are displacing them on flowers, however, there is little hard evidence of this. It is possible that native bees avoid flowers if they detect a sparse or declining resource. But, apart from some occasional territorial scuffling between male bees, native and honey bees appear to peacefully coexist.